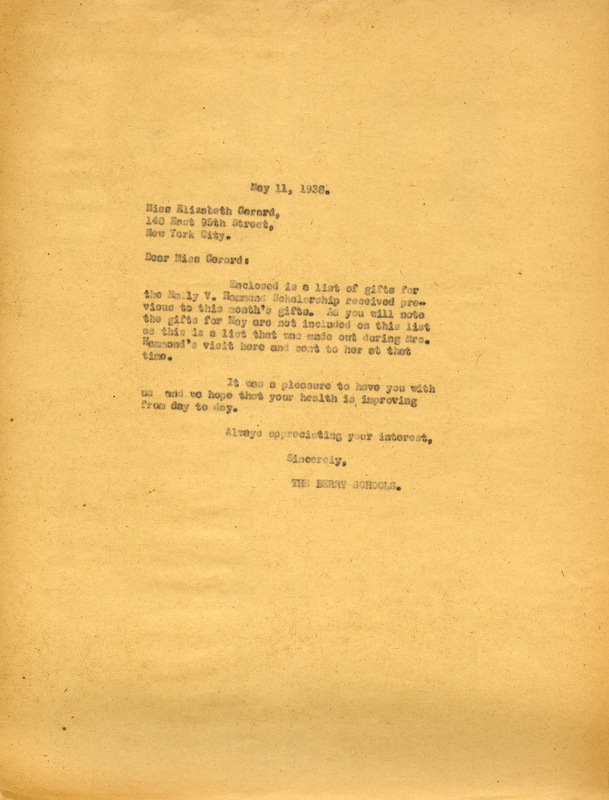 The author informs the recipient that a list of donors to the Emily Hammond scholarship is enclosed. The Berry Schools, “Letter to Miss Elizabeth Gerard from The Berry Schools.” Martha Berry Digital Archive. Eds. Schlitz, Stephanie A., Cassie LaJeunesse, Jessica Hornbuckle, et al. Mount Berry: Berry College, 2016. accessed April 21, 2019, https://mbda.berry.edu/items/show/14954.